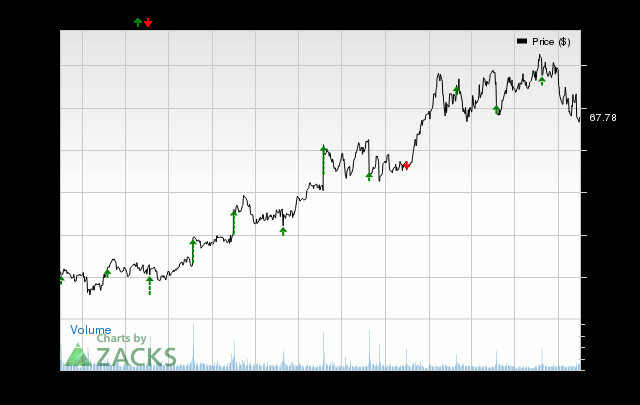 Will Best Buy (BBY) Beat Estimates Again in Its Next Earnings Report? Have you been searching for a stock that might be well-positioned to maintain its earnings-beat streak in its upcoming report? It is worth considering Best Buy (BBY), which belongs to the Zacks Retail - Consumer Electronics industry. This consumer electronics retailer has seen a nice streak of beating earnings estimates, especially when looking at the previous two reports. The average surprise for the last two quarters was 9.49%. 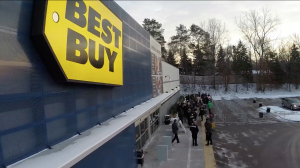 For the most recent quarter, Best Buy was expected to post earnings of $0.83 per share, but it reported $0.91 per share instead, representing a surprise of 9.64%. For the previous quarter, the consensus estimate was $0.75 per share, while it actually produced $0.82 per share, a surprise of 9.33%. With this earnings history in mind, recent estimates have been moving higher for Best Buy. In fact, the Zacks Earnings ESP (Expected Surprise Prediction) for the company is positive, which is a great sign of an earnings beat, especially when you combine this metric with its nice Zacks Rank. Best Buy has an Earnings ESP of +1.48% at the moment, suggesting that analysts have grown bullish on its near-term earnings potential. When you combine this positive Earnings ESP with the stock's Zacks Rank #3 (Hold), it shows that another beat is possibly around the corner. The company's next earnings report is expected to be released on November 20, 2018. Has Best Buy Co. (BBY) Outpaced Other Retail-Wholesale Stocks This Year?